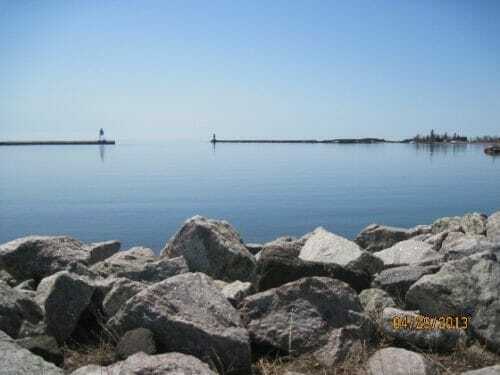 As the class left the school, one child asked, “Which lake are we going to?” Sue Butter answered, “The big lake!” “Oh, I know, that’s Lake Superior!” said another. Sue instructed the children to walk with “marshmallow feet” until they were out of the school. There was sand on the part of the beach the class went to, and under the sand, guess what? STILL SNOW! Our yard still has lots of snow, but it appears to be finally melting. So the walk was very exciting, and so was finding the most beautiful rocks children ever found. When one child found a heart-shaped rock, everyone began looking for more. Rocks with sparkles, shiny rocks, agates, and heart-shaped were the most popular. 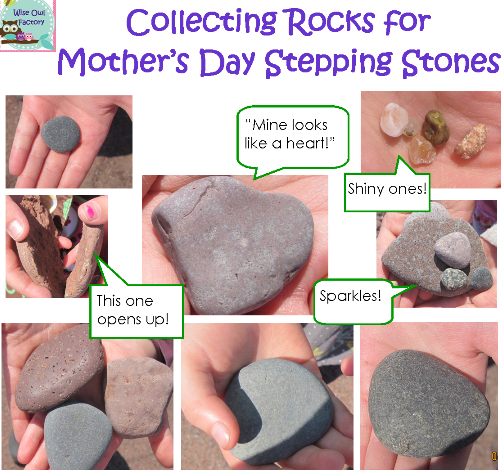 I have written about Let’s Go Rock Collecting by Roma Gans, illustrated by Holly Keller, and other rock books before on this blog. Let’s Go Rock Collecting is an excellent book for helping children understand the whole world has rocks, and how they formed. Sue Butter’s class was selecting rocks for the garden stones they are making for their mothers. Later this month they will study rocks. Next, I have a rocks printable. While this printable is 53 pages, it really isn’t a comprehensive rock unit. There is so much to learn about rocks, and I didn’t discuss the rock cycle in this PDF. 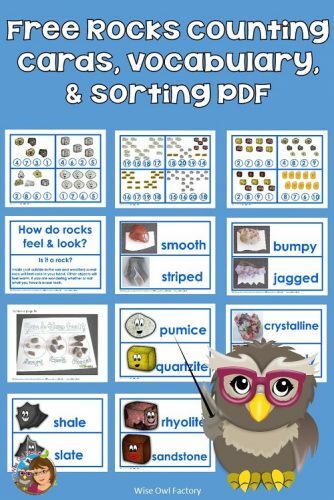 I included pocket chart cards and some rock sorting pages. On the count-to-20 card pages (math center), I added some fossils. It is difficult to find rock clip art that is good for children, and it seemed more interesting to add the fossils for counting. Most of the art is from Teacher’s Clip Art and I really appreciate her letting me use the art in freebies. She made all the rocks and fossil art. 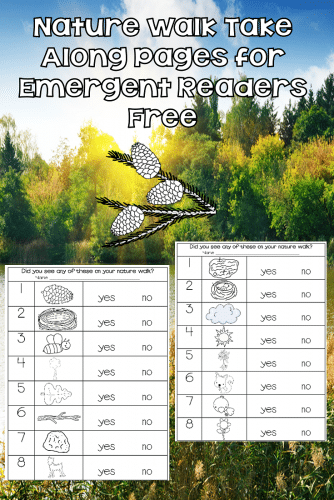 I hope you find these sites and my printables helpful, and that you get to go outside with your class when the weather is nice. 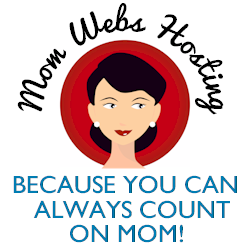 Hi, Andrea, I can approve links and comments when my online tools are being ornery! Thanks for linking to me, too, you have such great ideas on your blog. As a former first grade teacher, your ideas would also fit for the hands on learning in that class! Wonderful! Can’t wait to use it next week! Supposed to snow again though….. 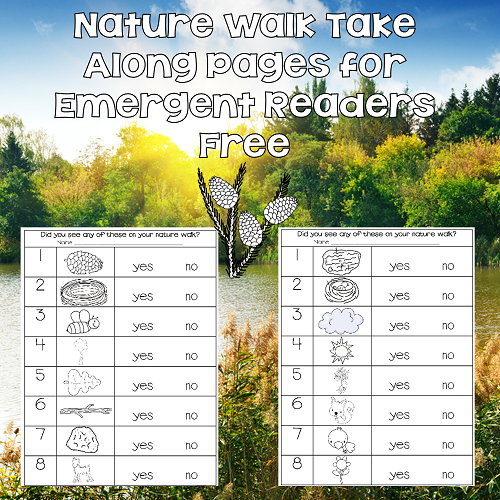 I love the nature walk sheets. I’m going to laminate and take with me on our next walk. Thank you Carolyn! You rock! Sorry…had to say it.